We've got all new products in from the classic American outwear brand Spiewak, and with the weather getting colder there's even more reason to invest in some of these staple jackets and coats. With a history going back to the 1900s, Spiewak has been a staple part of menswear for years, providing stylish outerwear in various styles. Although it originally began as an outfitters for dock workers and later military personnel, it soon moved into the consumer market as well, allowing the everyday man to get his hands on quality outerwear. With their years of experience, classic fits, and carefully designed products, Spiewak is a brand that's managed to blend style and practicality into each one of their jackets and coats. With their collection of parka jackets hitting the store, we're making sure you've got everything you need to survive the cold winter months. There's no pointless details or added features to get in your way with Spiewak designs, and you just get what you need - warm, versatile jackets that are guaranteed to keep you protected from the elements. From simple hooded designs to fur lined models, you can keep things as refined or relaxed as you want with this classic brand. 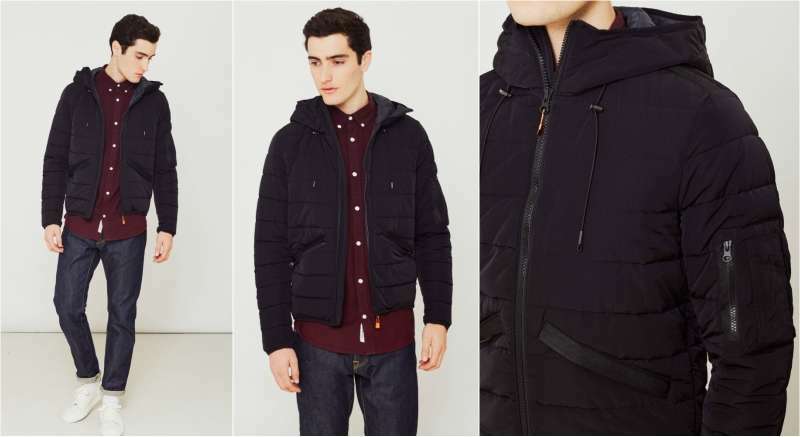 A good parka is sometimes the only logical choice when you're fighting against the cold. The shape and fits enables maximum protection against the wind and rain, while still being loose enough to layer up underneath. The large hood is perfect for keeping your head snug and warm, and is secure enough that a bit of wind won't blow it straight off, while the material is made to be both waterproof, warm and breathable. Storm cuffs - so you don't get rain water pouring down your sleeve. Down and feathers padding - for extra warmth. Sleeve pocket and four pouch pockets inside jacket - ensuring you can keep everything from your wallet to your phone secure and dry. Teflon shield fabric - repels dirt and oils, ensuring your jacket keeps you dry and looks good as well. Spiewak parkas come in a few different looks, so you can choose which kind of style you want to go for. If you're a fan of the casual, traditional look then these fur lined models, £474.90, are perfect for you and give you the choice between two versatile colours - black and navy. These are ideal for throwing on over an everyday outfit, and the fur adds a touch of interest while keeping the look grounded in a relaxed vibe. For a more simplified look, Spiewak also has a range of more refined, slim line parkas that don't have the fur lined hood. These styles, £374.90, still have the same warmth and traditional padded shape of the fur-lined designs, but their less busy finish means they can be paired with different outfits more easily. You could easily get away with wearing a smart-casual outfit with one of these parkas, with the navy and muted green colours giving a subtle, clean finish to the look. If you need something that has more of a compact, light-weight style compared to the standard, longline parkas, then Spiewak's Activation parkas, £269.90, are a good place to start. Their waist length design ensures your torso is kept warm and protected while giving you easier movement and a less bulky finish. The lightweight design is perfect for layering over a range of outfits, from a simple shirt and jeans to more winter appropriate jumpers and sweaters. With its versatile finish and slim, minimal padding, you can dress this parka up and down with ease while staying warm and protected from any harsh weather. If you're looking to splash out on a proper parka that will last you years, Spiewak designs are ideal. With their high-tech materials, feature and down padding and storm cuffs, you're provided with the ultimate protection against the wind, rain and any sub-zero temperatures. With varying designs and finishes you can go for a range of looks with these parkas as well, from smart casual to more relaxed, keeping them not just long lasting and sturdy, but surprisingly versatile as well.